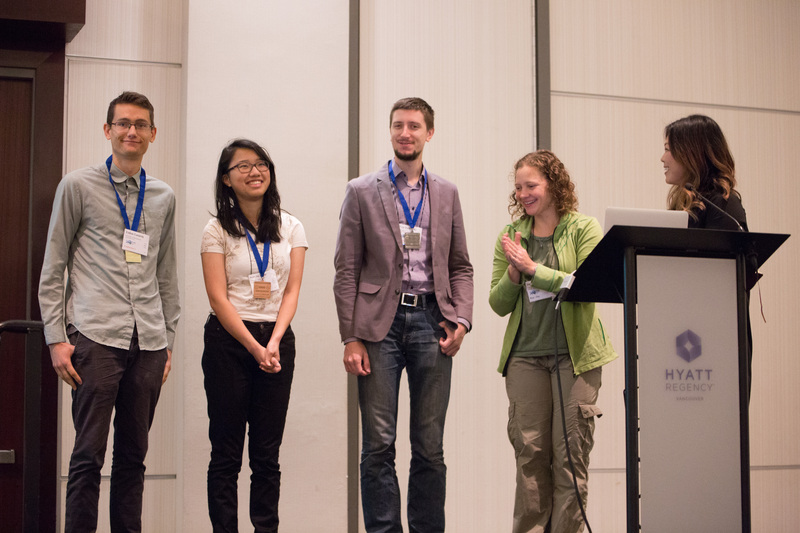 Research Experience for Undergraduates in Software Engineering (REUSE) program students Lukas Lazarek and Valerie Zhao won top undergraduate honors this past month at the ACM SIGPLAN conference on Systems, Programming, Languages and Applications: Software for Humanity (SPLASH). Lazarek, a senior at the University of Massachusetts Lowell, took home the first place prize in the 2017 SPLASH Student Research Competition undergraduate category. Meanwhile, Valerie Zhao, senior at Wellesley College, took third place. With support from the National Science Foundation’s Research Experiences for Undergraduates’ program, the REUSE program is geared towards providing undergraduate students from institutions with limited software engineering research opportunities the chance to work on challenging, innovative research projects. Students spend the summer on campus working closely with the Institute for Software Research’s renowned faculty to explore topics ranging from mining software repositories to green computing. Capitalizing on the ISR’s tradition in collaborative and cross-disciplinary research, students in the REUSE program have the chance to work with researchers across the School of Computer Science, including Societal Computing, Human Computer Interaction, Robotics, and more. The ACM SIGPLAN SPLASH conference brings together leading researchers concerned with all aspects of software construction and delivery. It is widely regarded as the premier conference at the intersection of programming languages and software engineering. SPLASH Student Research Award winners, Lukas Lazarek (left) and Valerie Zhao (second to left), were REUSE students at Carnegie Mellon this past summer.